The Modi government has signalled that it recognises the importance of intellectual property2 and expediting litigation3 in India's growth map for the coming years. With this in mind, the Commercial Courts, Commercial Division and Commercial Appellate Division of High Courts Act 2015 (the Commercial Courts Act) has been introduced to speed up commercial litigation in the country. All patent disputes are covered by this statute. over 500 district courts – each High Court exercises superintendence over district courts. As far as patent litigation is concerned, practically speaking, there is a threefold court structure. A district court is the lowest court before which a patent infringement suit can be filed. If a patent infringement lawsuit is filed before a district court and the defendant counterclaims for invalidity, then the suit is transferred to the High Court. Only six High Courts can entertain lawsuits in the first instance. This is commonly referred to as 'original jurisdiction'. Most patent litigation is filed before High Courts. After the Commercial Courts Act, not all district courts can entertain 'commercial' lawsuits under the Commercial Courts Act. Under this Act, commercial suits can be filed only before courts designated as 'commercial courts' or before a High Court division designated as a 'commercial division'. Where a High Court has a commercial division, no district court will be designated as a commercial court. For instance, in the state of Delhi, all commercial litigation is filed before the commercial division of the Delhi High Court. All pre-Commercial Courts Act patent suits have been or are being transferred to the commercial court or commercial division that has territorial jurisdiction in each case. The Commercial Courts Act has reduced the kind of interlocutory orders that can be appealed. This is expected to speed up patent litigation in India. An appeal from a district court order goes to a single judge of the High Court. An appeal from a High Court single judge's order goes to a two-judge bench of the High Court, called a division bench. Broadly speaking, appeals to the Supreme Court of India in patent matters are filed under the Supreme Court's discretionary power. The Supreme Court is most likely to hear appeals that involve substantive questions of law. Having said that, the Supreme Court routinely interferes in matters that do not solely or directly involve such questions. The past few years have seen a surge in pharmaceutical patents and standard essential patents' litigation in India. The decisions in Roche v. Cipla4 and Merck v. Glenmark5 bolstered the position of pharma patent owners in India. Ericsson and Philip's trailblazing records in standard essential patents litigation in India have encouraged many right holders to litigate in India. The Indian Patents Act, 1970, recognises product and process patents. The Act allows the applicants to file provisional applications which are followed by non-provisional applications, convention applications under Paris Convention, national phase application pursuant to PCT international application designating India, divisional application and patent of addition application. The patent of addition applications are the applications that are filed to provide protection to the improvements or modification in the already filed or granted patent. Withdrawal of fee paid for requesting substantive examination. The applicants can now withdraw the application by filing a request any time before the application is referred to the examiner. Said request shall be deemed to have not been filed. Time for placing the application in order under Section 21 has been reduced from 12 months to six months. Said period is extendible by three months on request. Provision for taking adjournment of hearing has been introduced. It is now possible to do hearings through video conferencing or telephonically. • the applicant is a start-up. A definition of start-ups has been introduced. results of the investigation for anticipation by any previous publication and prior claim. The examiner shall make the above report within three months from the date of reference and the Controller shall ordinarily dispose of the report within one month of receipt, and issue a first statement of objections within one month from disposal of the report. An application may be put in order within six months from the date of the statement of objections. The term of a patent is 20 years from the date of filing of the application. For international applications under the Patent Cooperation Treaty (PCT), the term is 20 years from the international filing date under the PCT. Indian patent statutes provide both pre-grant and post-grant opposition proceedings. The pre-grant opposition can be filed under Section 25(1) of the Act, any time before, the examination of the application or during the prosecution of the application. The Delhi High Court in one of the order 6 has held pre-grant opposition as 'Examination-in-aid'. The post grant proceedings are filed within one year from the date of publication of grant of patent in the Official Journal. Patent litigation is changing rapidly with the advent of the Commercial Courts Act. For instance, this Act provides a non-extendable deadline for filing a statement of defence (called a 'written statement'). This deadline is 120 days from the date of service. This deadline applies to the defendant in a patent infringement lawsuit as well as the defendant in a counterclaim, which is usually the plaintiff in the lawsuit. Therefore, it is extremely important to comply with procedural deadlines. In the pre-Commercial Courts Act regime, a defendant's delay in filing a written statement was usually condoned in the interest of justice. It was therefore not even advisable to strongly oppose condonation of delay applications because such opposition would only lead to further delay in the lawsuit. Other important changes introduced by this Act are the introduction of 'case management hearings', 'summary judgments' and a real 'costs' regime. For anyone litigating or proposing to litigate an intellectual property lawsuit in India, it may be worthwhile to go through the 22 pages of the Commercial Courts Act. As explained above, a patent infringement lawsuit can be brought before a commercial court or a commercial division of a High Court. If a patent infringement suit is filed before a district court, then it will be transferred to a High Court if the defendant counterclaims for invalidity of the suit patent. The usual practice for most defendants in patent infringement lawsuits is to counterclaim for invalidity. An interim injunction may be refused if the defendant raises a credible challenge to the validity of the patent in suit. Having said that, a counterclaim may sometimes be filed only to emphasise, sometimes wrongly, the seriousness of the challenge to the validity of the patent. Before the Enercon decision7 of the Supreme Court clarified the law, a defendant could not only counterclaim for invalidity in a patent infringement suit filed against it, but could also initiate revocation proceedings against the same patent before the Intellectual Property Appellate Board. The Intellectual Property Appellate Board is a specialised board that hears appeals against orders of the intellectual property offices, including the patent office. This Board should have at least one technical member, among others, for hearing patent appeals. However, since 2016, the Board has been defunct after its last chairman retired. The board is likely to resume functions in 2017, once the government appoints its officials. In 2014, the Supreme Court in Enercon clarified that only the first filed action between a counterclaim and a revocation will survive. Further, once a lawsuit is filed against a defendant, it can challenge validity of the patent only by way of a counterclaim. While a High Court judge may not always have a technical background, as things stand today, proceedings before the High Court will be faster than proceedings before the Intellectual Property Appellate Board (IPAB). A patentee or its exclusive licensee can file a lawsuit for patent infringement. The limitation period is three years from the date of cause of action. 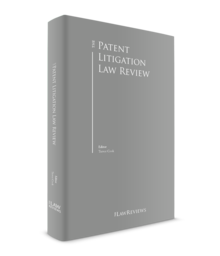 If the cause of action is a patent infringement lawsuit, the limitation period begins when the patentee or its agent first gains knowledge of the infringement. A fresh cause of action arises each time a patent is infringed. A revocation proceeding may be filed against a patent any time after the grant of the patent. A patent may also be challenged by an interested person by way of a post-grant opposition under Section 25(2) of the Patents Act 1970, before the Patent Office. However, a post-grant opposition can be only filed after grant of a patent but before the expiry of one year from the date of publication of grant of a patent. Key differences between post-grant opposition and revocation proceedings include the narrower scope of inquiry in a post-grant opposition, and the limited period in which a post-grant opposition can be filed. Step 1 – Filing of the lawsuit and admission of the lawsuit. Once the lawsuit is admitted, summons to the defendant are issued by the court. Step 2 – Defendant enters appearance before the court and written pleadings are filed in court. The defendant may also file a counterclaim, in which case the plaintiff files its defence in the counterclaim. Step 3 – This is a procedural step called 'admission and denial' of documents. Parties may also seek discovery of documents. Step 4 – Issues in controversy are framed by the judge to narrow the controversy and the parties are sent to trial. In most patent cases, at least before the Delhi High Court, local commissioners (officers specially appointed by the court) record evidence. Step 5 – Trial includes examination in chief, cross examination and re-examination, if any, of witnesses. A patent infringement trial is governed by the Indian Evidence Act 1872. Step 6 – Final arguments before the judge. A party to a lawsuit can also request for the appointment of a local commissioner to preserve proof of infringement. The procedure in revocation and post-grant opposition proceedings is more relaxed. Usually, the parties file pleadings and documents, and file evidence in the form of affidavits after which the matter is put up for final arguments. These proceedings do not involve several steps explained above, including steps 3 and 4. In appropriate cases, cross-examination of witnesses may be permitted by the IPAB. The Patent Office and the IPAB usually accept internet printouts without further proof. However, for other documents such as brochures and receipts, they may require parties to produce originals. In a suit for patent infringement, every ground on which a patent may be revoked is available as a ground for defence. However, for a declaration of nullity of the patent in suit, a defendant will have to file a counterclaim. After the enactment of the Commercial Courts Act, the lifespan of a patent infringement lawsuit is expected to reduce to about 18 months. The timeline of proceedings before the Patent Office and the IPAB is harder to predict, but a ballpark assessment would be in the range of two to four years. Interim injunctions – courts are more likely to grant interim injunctions in cases where the defendant is yet to commercially launch. It is rare for courts to direct the plaintiff to make a security deposit while granting an interim injunction in the plaintiff's favour. Interim royalty arrangements – in standard essential patents litigation, this has become the go-to remedy. Interim royalty arrangements of several kinds, including where the plaintiff receives royalty subject to its furnishing a bank guarantee for the royalty it receives, have been passed by courts in India. Another version of this remedy is where the defendant does not actually make any royalty payments to the plaintiff but furnishes a bank guarantee for the royalty due. Maintaining accounts – courts also direct defendants to maintain accounts of their profit from the alleged infringing activities. Appointment of local commissioners – courts may appoint a local commissioner to visit the defendant's premises to preserve evidence of infringement. Such orders are usually passed in cases where the plaintiff can demonstrate to the judge that the defendant is likely to destroy evidence relevant to the proceedings. The Patents Act empowers the recipient of groundless threats of patent infringement to move the court for a declaration that the threats are in fact groundless, and an injunction against continuance of such threats, and damages. However, this provision has not witnessed much litigation. 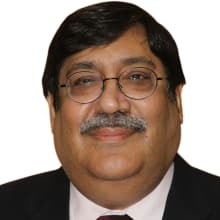 To the best of our knowledge, the Competition Commission of India has entertained complaints against one patentee in three cases involving standard essential patents. The director general's investigation report is awaited in these cases. for a process patent, an unauthorised act of using that process, or using, offering for sale, selling or importing for those purposes, a product directly obtained from the patented process may constitute infringement of the patent. Indian courts recognise quia timet actions, namely, where there is a real and imminent apprehension of infringement. Courts have found preparatory acts such as listing of a patented molecule on the defendant's website, applications filed by defendant for obtaining a manufacturing approval for the patented product as real and imminent apprehension of infringement. a claim includes its preamble, transition phrase and body. The transition term may be open-ended or closed. The dichotomy that is sought to be drawn between coverage or claim on the one hand and disclosure or enablement or teaching on the other hand, seems to strike at the very root of the rationale of the law of patent…To say that the coverage in a patent might go much beyond the disclosure thus seem to negate the fundamental rule underlying the grant of patents. [I]n an infringement action, the main function of the court is to construe the claims which are alleged to have been infringed, without reference to the body of the specification, and to refer to the body of the specification only if there is any ambiguity or difficulty in the construction of the claims in question. failure to comply with Section 8, in other words, failure to disclose or disclosure of false information for corresponding foreign applications. Every ground under which a patent may be revoked under Section 64 is available as a ground for defence in a patent infringement lawsuit. importation of patented products by any person from a person who is duly authorised under the law to produce and sell or distribute the product. Further, Section 140 of the Patents Act prescribes conditions that are unlawful in a patent licence. These include conditions such as an exclusive grant back, prevention of challenges to the validity of a patent, and coercive package licensing. The damages granted by the court may include compensatory as well as punitive damages. The court may also order delivery up, seizure, forfeiture or destruction of the infringing goods as well as materials and implements, the predominant use of which is the creation of the infringing goods. In the Merck v. Glenmark case,12 the Delhi High Court granted a permanent injunction restraining the defendant from manufacturing the infringing drug and from otherwise infringing the plaintiff's patent. The trial in this case was conducted on an expedited basis within a period of three months under specific orders of the Supreme Court. In the Roche v. Cipla case, the appellate court found that the defendant had infringed the patent and that the patent was valid. Since three months were left in the life of the patent when the decision was rendered, the court chose not to grant an injunction and instead ordered the defendant to render an account of the profits. Under Indian law, a party may file a suit for declaration that its activities with respect to a product or process, do not infringe a patent. For invoking this provision, the plaintiff must first attempt to obtain a written acknowledgment from the patentee to the effect that the plaintiff's activities do infringe the patentee's patent. Only if the patentee refuses or neglects to provide such an acknowledgement can the plaintiff approach the court seeking such a declaration. While seeking such an acknowledgment, the plaintiff must give full particulars of its product or process in question. Notably, while seeking such a declaration, the plaintiff is not entitled to call the validity of the patent into question. damages, if any, for damage that he or she has sustained. These threats may be in the form of circulars, advertisements, letters or publications, but a mere notification of the existence of a patent will not constitute a threat for institution of legal proceedings. Prior to applying for a compulsory licence, the applicant must first seek a licence from the patentee, and only if reasonable efforts to obtain a licence fail can the applicant approach the Controller for a compulsory licence. The Intellectual Property Rights (Imported Goods) Enforcement Rules 2007 allow patentees to have their patents recorded with the Customs authorities so that authorities may suspend release of and eventually confiscate infringing goods. Recognising that the determination of patent infringement issues can be complex, the High Court of Delhi in Ericsson v. Union of India14 directed that the customs authorities would not ordinarily seize or suspend release of goods in patent cases, and would exercise these powers with extreme caution, unless the rights of the parties have been previously determined by the order of a competent court. However, in straightforward cases, where no complex issues of patent infringement or invalidity are involved, the customs authorities may proceed to suspend the release of the goods even in the absence of a court order. If the first-instance patent infringement proceedings are instituted before the district court, an inter-court appeal by the unsuccessful party lies before the High Court; whereas, if the first-instance patent infringement proceedings are instituted before the High Court, an intra-court appeal lies before a larger bench of the High Court. An appeal against the order of the High Court lies to the Supreme Court. Appeals can only be filed against orders that form part of a list of appealable orders. Not every order passed by the court of first instance is appealable. This list typically includes orders affecting the substantive rights of the parties, such as those granting or refusing injunctions. First appeal against a final decision post-trial is available as a matter of right and permission to appeal is not required. While provisions for obtaining a certificate from the High Court for appealing to the Supreme Court exist, in practice, most appeals to the Supreme Court require leave to appeal to be granted by the Supreme Court for admission of the appeal. Fresh evidence may be introduced at the appellate stage only after obtaining specific permission of the court. First appellate courts usually consider both legal and factual issues. However, where the lower court has exercised its discretion in deciding an application for grant of an injunction, the appellate court will ordinarily not interfere in the exercise of discretion unless such exercise is perverse, capricious or arbitrary. Under the new commercial courts regime, an appeal is to be decided within a period of six months of the date of filing of the appeal. Considering that the plaintiff is seeking royalty at FRAND terms and that too at the PHILIPS ONLY option and no evidence has been led by the defendants to rebut the evidence of the plaintiff despite the onus of Issue No. (vii) being on the defendants, it is held that Manglam and Bhagirathi are required to pay royalty to the plaintiff @USD 3.175 from the date of institution of the suits till 27th May, 2010 and from 28th May, 2010 @USD 1.90 till 12th February, 2015. It is at once apparent that recourse to Rule 138 of the Rules is not available to extend the time prescribed under Rule 24B of the Rules. This is clear from the plain language of Rule 138 of the Rules, which expressly excludes its application to Sub-rules (1), (5) and (6) of Rule 24B of the Rules. Moreover, in terms of Rule 138(2) of the Rules, any request for extension of time prescribed has to be made before the expiry of such time as prescribed in the Rules. Therefore, even if the express language of Rule 138 of the Rules is ignored, the benefit of Rule 138 would not be available to the petitioner as no such application for extension of time was made prior to expiry of the prescribed time. However, in Snecma v. Union of India, Justice Shakdher allowed the writ and ordered the quashing of the two patent office's communications dated 17 March 2017 and 3 April 2017. Furthermore, the Controller of patents was directed to take the petitioner's request for examination on record and to process the same in accordance with the extant provisions. This order distinguishes a filing request for examination and the prescribed fee as two separate acts, and out of the two the first act needs to be done on time. On 22 June 2018, Intellectual Property Rights (Imported Goods) Enforcement Amendment Rules 2018 were notified in the Official Gazette. The Amendment rules, has omitted the terms 'patent as defined in the Patents Act, 1970' and 'the Patents Act 1970' from the definitions of 'intellectual property' in Clause 2(a) and 'intellectual property law' in Clause 2(b). With said amendment the custom authorities have been exempted from dealing with issues of patent infringement. India is gearing up for fast-paced patent litigation and a setup where erring parties will be expected to bear the burden of costs for unreasonable conduct and actual damages. In a severely fought battle, this year division bench of the Delhi High Court in Monsanto v. Nuziveedu19 declared Monsanto's BT patent as invalid. The patent was held invalid in view of Section 3(j) of the Act, which considers plants in whole or part thereof as non-patentable subject matter. However, Monsanto has been allowed to register its invention under the Plant Variety Protection and Farmer's Rights Act 2002. Monsanto has now gone to the Supreme Court, and the matter is now sub judice. 1 Pravin Anand is a managing partner and Vidisha Garg is a partner at Anand and Anand. 2 For instance, see 'India committed to protect Intellectual Property Rights: PM Modi', 13 November 2015, https://timesofindia.indiatimes.com/india/India-committed-to-protect-Intellectual-Property-Rights-PM-Modi/articleshow/49761700.cms. 4 (2015) 225 DLT 391 (DB). 5 (2015) 223 DLT 454. 7 (2014) 15 SCC 360. 8 id. at Paragraph 21. 10 (2013) 6 SCC 1. 11 AIR 1969 Bom 255. 13 Order dated 9 March 2012 in CLA No. 1 of 2012, available at http://ipindiaservices.gov.in/decision/IN-PCT-2001-00799-MUM-39950/INPCT200100799MUM-215758-compulsory_License_12032012.pdf. 14 Judgment dated 13 July 2012 in LPA 1104 of 2011. 15 CS(COMM) 24/2016 and CS(COMM) 436/2017. 16 Judgment dated 19 March 2018 in W.P. (C) 3250/2017 & C.M. No. 26210/2017. 17 Judgment dated 16 February 2018 in W.P. (C) 1469/2018. 19 Judgement dated 11 April 2018 in FAO (OS) (COMM) 86/2017, C.M. APPL.14331, 14335, 15669, 17064/2017.